When we recently had the C21 Harrelson Group redesigned, we spent a lot of time researching the various MLS products and templates until we found the one that we felt would be the most easy-to-use, informative, and fun way to display and inform our buyers of just what Myrtle Beach has to offer. We spent hours researching the many communities, listing the amenities, taking photos, and hoping to be one of the most highly informative real estate sites on the Grand Strand. 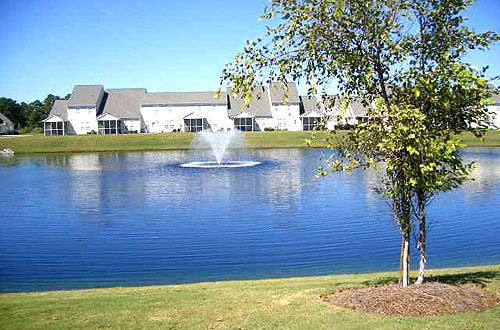 We plan to add even more as we go along, but we hope you, as someone interested in possibly investing in a condo or home in Myrtle Beach, will take some time and explore what we've put together for you. Look through the pages that describe Barefoot Resort, Carolina Forest homes for sale, Prestwick Golf and Tennis, Prince Creek, and all the other communities we've investigated for your benefit - so you can make the best decisions and see everything before you decide! Visit our website, use our tools, and enjoy the fun of exploring real estate in Myrtle Beach!